An exciting development in the last two weeks here at Shift has been the response to Andrew Harvey’s free call on Rediscovering the Christ Path and the subsequent Christ Path course, which begins this week. We’ve had a higher percentage of free call participants sign up than for any other course we’ve offered. While I was somewhat nervous about producing this course, the response has been overwhelmingly positive. While some of this is due to Andrew Harvey’s potent insights, I think it’s also because this course fills a real need in our larger movement. Most of us were probably raised Christian or at least heavily influenced by it. But over time, we may have become disillusioned with the church over its stand towards science, or social issues, or even towards spiritual practice. We’ve delved into yoga, meditation, workshops and retreats. We may have even traveled to India, that spiritual beacon from the East. We’ve become global and more transformational in our thinking in a way that the church often hasn’t. We’ve also become more aware of the ways the Christian church evolved and changed doctrines to consolidate power for political purposes. Some of the most mystically interesting gospels were tossed aside and key understandings like reincarnation were banned. The whole church also became heavily patriarchal in a way that Jesus himself clearly wasn’t. So it can feel awkward to still call ourselves Christians, even while our core identity has been so heavily shaped by this lineage. What Andrew Harvey represents is a kind of medicine for healing our relationship with Jesus and the Christ Path, whether we’re Christian, Jewish, Hindu or even atheist. Personally, he’s helped re-open my heart to the tradition and see it with new eyes. While there are many dimensions to this shift, the most fundamental is to move from seeing Jesus as THE Christ (as in the “only”) to seeing him as a forerunner of the divinization process that we are all undergoing (or eventually will experience). It’s a shift from a singular Christ to open to the possibility of Christing for all of us. 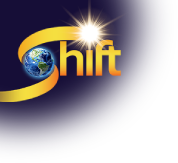 That shift is essential for Christianity to evolve into a new form of itself – Christianity 2.0. Simply putting Jesus on a pedestal and worshipping him, hoping that he’ll wash away our sins is an immature way to relate. A more mature way is to follow in his footsteps and see him as an inspiration but not an infallible God. The Christ Path is an offering that begins to take us into that new possibility for Christianity– transformational, global, focused on sacred action, honoring of the sacred feminine, and embodied. As these shifts happen, a doorway opens to our own higher potential. We see Jesus as a mirror of who we can become, an evolutionary forerunner rather than someone who is going to save us in a paternalistic way. We become empowered to BE the Christ rather than believe in the Christ. And that will result in a profound shift for the more than two billion Christians in the world, as well as members of other religions. If you feel resonant with this work, do visit The Christ Path page here. I encourage you to read all about the Course, listen to the free 1 hour intro here, or a 12-minute free audio on the Christ and the Divine Feminine here. And if it speaks to your heart and soul, to join us for this important soul work.